The report [PDF] details the approximately 1,200 reverse mortgage complaints the CFPB received between December 2011 and December 2014. Reverse mortgages allow a borrower, 62 years or older, to convert the equity in their home into a lump sum or monthly payments. According to the report, many complaints show a disconnect between consumer expectations and the way in which reverse mortgages actually function. According to the CFPB’s report, consumers are frustrated with their loan terms, servicer runarounds, and foreclosure problems. The most frequent complaint about the financial product involved older consumers and their family members demonstrating confusion about the terms and requirements of reverse mortgage loans. For example, many of these consumers are frustrated when they are unable to refinance their loans because there is insufficient remaining equity in their homes. The CFPB reports these complaints suggest that some homeowners may not understand that the loan proceeds as well as the accrued interest on the loan overtime will substantially decrease the amount of available equity. Another common consumer complaint about the products concerns denials for changing terms of the loan. Some consumers complain that lenders refuse to lower their loan’s interest rates and thus they feel they are being overcharged. Other consumers complain that the variable interest rate on their reverse mortgage increased too quickly. However, the CFPB reports that the most frequent complaint regarding changes to the loan involved consumers trying to add additional borrowers to the loan in order to extend the term of the loan. Adult children of reverse mortgage borrowers also submitted complaints describing frustration that lenders refuse to add them to the loan as an additional borrower or allow them to “assume” the reverse mortgage loan for an aging or deceased parent. According to the CFPB, these complaints reflect the difficulties some families encounter when a reverse mortgage borrower dies while non-borrowing family members are living in the home at the time of the borrower’s death. 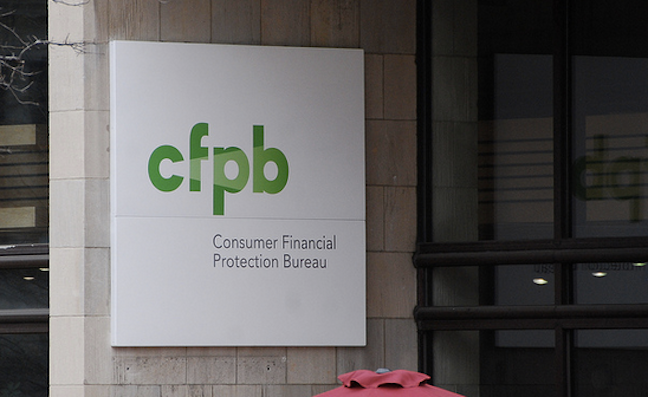 Some family members in multigenerational households tell the CFPB they did not realize until the lender contacted them after their parents’ death that the home would be sold. Consumers reported further issues with loan servicing including that servicers that don’t keep adequate records and make it difficult to repay the loan; that they face foreclosure due to non-payment of property taxes or homeowner insurance, as well as, facing obstacles when attempting to prevent foreclosure. While reverse mortgages currently account for just 1% of the traditional mortgage market, the Bureau believes that number will increase significantly in coming years as the “baby boomer” generation retires. To ensure that potential reverse mortgage borrowers and their families are prepared for the sometimes costly products, the CFPB issued an advisory highlighting three ways consumers can help plan so that their surviving spouse or heirs are not harmed by the loans. • Verify who is on the loan: If two borrowers took out the reverse mortgage, they should check with the reverse mortgage company to make sure its loan records are accurate. • Plan ahead for the non-borrowing spouse: For consumers who took out a HECM reverse mortgage in the name of only one spouse before August 4, 2014, they should contact their loan servicer to find out if the non-borrowing spouse may qualify for a repayment deferral. If not, they should make a plan in the event the borrowing spouse passes away first. Couples with enough remaining equity could consider taking out a new reverse mortgage, but they will incur new loan fees. Some surviving spouses may also be able to pay off the reverse mortgage, or take out a traditional mortgage, perhaps with another family member. Many will need to plan for where they will live after the home is sold to repay the loan. If the loan was originated after August 4, 2014, new changes to the HECM program will allow the non-borrowing spouse, meeting certain conditions, to remain in the home. • Plan ahead for other family members living in the home: Consumers should make sure any children or other family members living in the home know what to expect when the reverse mortgage is due. If those members want to keep the home, the borrower should contact their reverse mortgage company to have them explain their options. They can also contact a HUD-approved housing counselor to explore their options.